Most people are well aware of the fact that there are risks associated with driving in a car. However, driving dangers are often underestimated. Auto accidents are scary and traumatic experiences. Whether you’re a driver or passenger, it’s important to know and understand what you need to do if you or a loved one is ever in this type of situation. Most of these kind of accidents are caused by negligence of drivers. The most common scenarios include failure to yield, and being a distracted driver by cellular devices or other means. They may also include drunk driving and running a red light. Bad weather conditions, including icy or wet roads, could also cause an accident if a driver is going too fast or tries to brake suddenly. 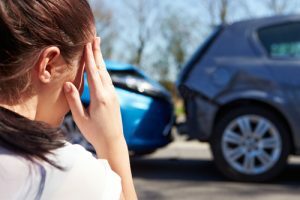 It doesn’t matter if the accident is caused by a car, truck, or bus; if you’re injured, then you will need the help of a Houston personal injury lawyer. After being seriously injured in an auto crash, you and your family can expect to face significant financial burdens due to injuries sustained. Common injuries that occur during these accidents include whiplash, concussions, back and neck soreness, as well as broken bones and spinal cord injuries, which could result in paralysis. Brain injuries are also known to be the effect of auto accidents. A trusted attorney can help you to get compensated for any medical bills, time off work, and emotional support you may need because of the accident. If you or a loved one have been injured in an accident like this, contact the Law Office of D’Ann Hinkle. With over 25 years of experience, Attorney Hinkle is ready to fight for you and your rights. Contacting a Houston personal injury lawyer to handle all the paperwork and stress of a situation like this can give you the peace of mind you need to recuperate from such a traumatic event. Call the office today to schedule your consultation and discuss the next step for your case.